UPDATE: This workshop has SOLD OUT. Please email admin@nycwritingproject.org if you would like to be added to our mailing list for frequent updates. 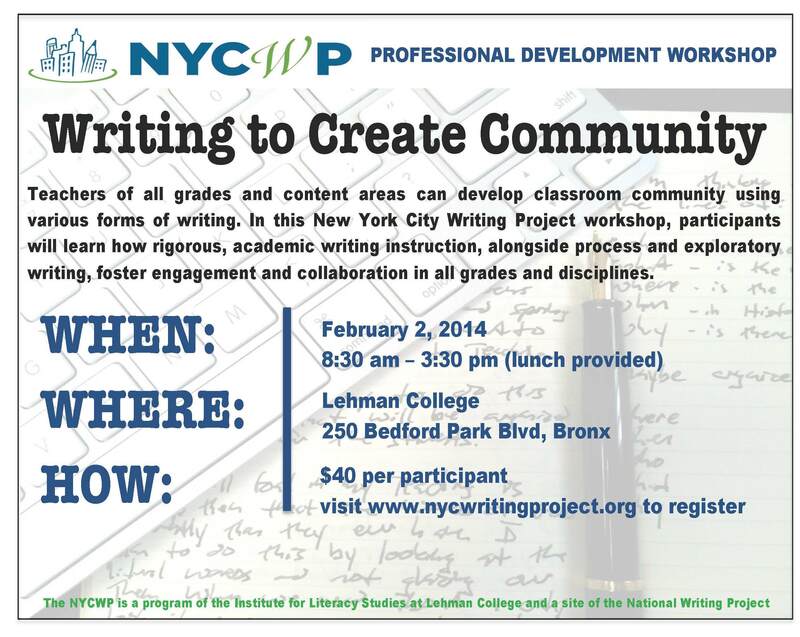 On February 2, 2015, the NYCWP will re-offer its sold-out professional development workshop, Writing to Create Community. Registration is on a first-come/first-served basis. Please register today at http://bit.ly/NYCWPCommunity22. 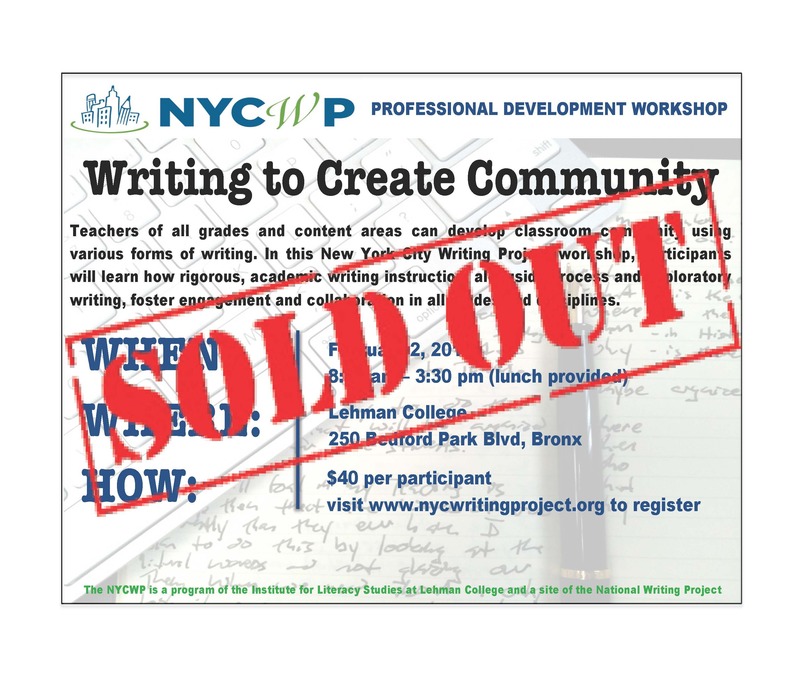 If you are an administrator who would like to pay for a group using a Purchase Order, please email admin@nycwritingproject.org.